Speed reading can help students studying, lawyers, anyone who needs to take in a lot of information. Important information that needs to stick in the brain. What is also important, besides reading quickly, is to understand the information read and how to retain the information. What good is a speed reader if he doesn’t understand a thing he reads? Skimming refers to reading quickly to gain a general impression as to whether the text is of use to you. You are not necessarily searching for a specific item because it only provides an 'overview' of the text.Skimming is somewhat like reading the morning newspaper. You don’t actually start at the top left corner and read every article on every page. You read the headlines, reject many of the articles that you don’t find relevant, and read only those that interests you, sometimes in a hit and miss fashion – reading the headline, the first paragraph, skipping down to check out the names of the people. Contents of most reading materials are not all important and relevant. Some of them are simple supporting details in which absence of them still makes the text complete. In other words, they are only trash. You wouldn’t waste your time reading the trash at all, would you? The important items may be skimmed and ear-marked for later reading. The critical may be skimmed to confirm that they are really critical. What is left in the “really critical” stack will demand intensity. Even then, you may want to skim each one before you read in detail. Skimming on a regular basis develops your ability to learn with this strategy. It also improves other reading rates such as for studying and for average reading (that will be discussed later on this chapter). It builds your knowledge and vocabulary base so you have the background to rapidly absorb these ideas as they appear in other context. Read the title. This focuses your attention on the topic. Read the introduction. This may be the first paragraph or two. It usually describes, in general, the entire selection will be about. Read the first sentence in each paragraph. Often as many as 80% of the paragraphs start with a summary or topic sentence. The rest of the sentences in the paragraph simply elaborate. You may skip the elaboration unless it is obviously necessary such as the definition of a very important term. When you skim, you really are only looking for general ideas. Read the conclusion. This may be the last paragraph or two. It usually summarizes the article, specifies an opinion, or makes some recommendations based on the general content. Test your comprehension. Look away from the article and tell yourself in a sentence or two what the entire article was about. When you’re looking for, say for instance, a car service phone number in the telephone directory, you don't read every listing, do you? Instead, you skip over a lot of unrelated information and scan for a visual image of the name of the company on the relevant page. It is like looking for a friend at the basketball game. You do not look at each individual face across every row of seats. Because you have a visual image of your friend’s face, you scan the audience until you see him. Scanning printed words is similar to this. You scan to locate a single fact or a specific bit of information without reading everything in the whole text material or even in just a chapter. Perhaps you have a list of terms that you know are going to be on the next biology test. You have already encountered them during the lecture in class so while reviewing, you just look up each word in the index, go to the given page number, and scan for just that word. When you find them, you read the sentence in which they appear. If it is not yet clear to you, then you may want to read the entire paragraph. Flip through the pages to see how the information is organized. It may be alphabetical, chronological, topical categories from most important to least important, or the standard essay format of introduction, body, and conclusion. Turn to the section most likely to contain the specified details. Keep a visual image of the key word in mind. Run your eyes over the material in a search for that keyword visual image. Don't be tempted to stop and browse. You can do that some other time. Reading for leisure tends to be 'light'. Read at a pace which feels comfortable. Skim the boring, irrelevant passages. An average light reading speed is 100-200 words per minute. This form of reading does not generally require detailed concentration. This type of reading is time consuming and demands a high level of concentration. According to what it’s called, such reading type is done by reading a word after every word. Some materials is not readily understood and so they requires a slow and careful analytical read. People use this type of reading for unfamiliar words and concepts, scientific formulae, technical materials, and the like. 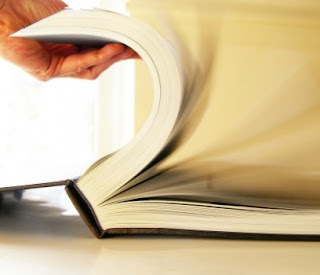 It can take up to an hour just to read a few paragraphs or chapter of the text. The main method used in reading to study is called SQ3R. Survey, Question, Read, Recall and Review, in which the name came from. Survey: skim through to gain an overview and not key points. Question: devise questions you hope the text will answer. Recall: from memory, write down the main points made by the chapter. Review: revisit and answer the questions you first raised.